The flush burners with a PreciseFlame vertical flame heat the base of the pan directly for reduced heat dispersion, which saves gas and increases efficiency. With our easy-to-clean surfaces, all you need to make your hob shine is a clean, damp cloth. The flush burners with a PreciseFlame vertical flame heat the base of the pan directly for reduced heat dispersion, which saves gas and increases efficiency. The sleek design stylishly reflects the latest appliance trends, providing a fabulous focal point for any modern kitchen. 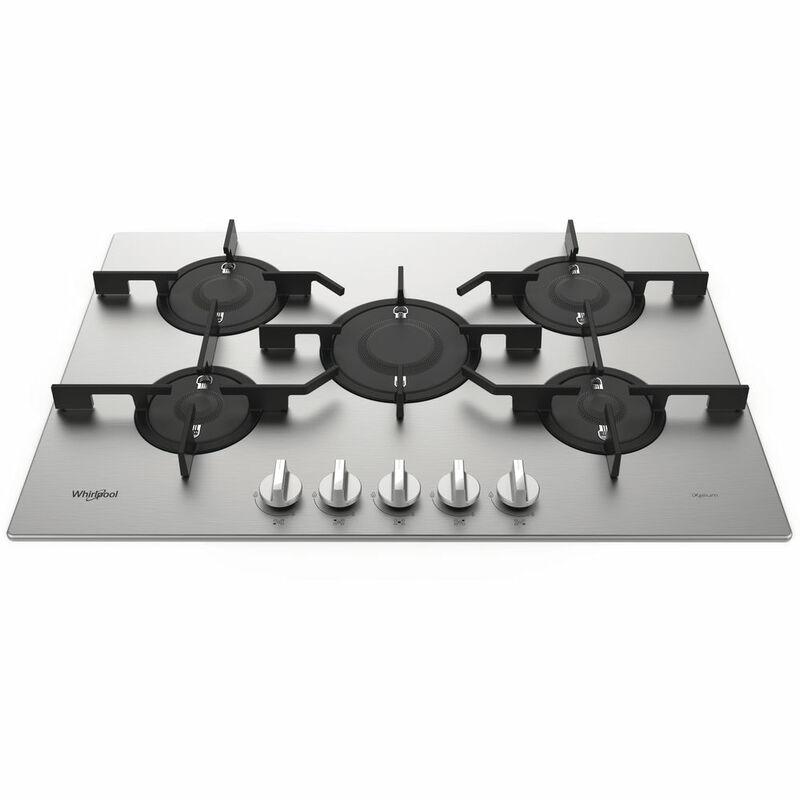 The flush design of the burners with a maximum height of 10,5 mm ensures the hobs are even easier to clean. Cooktop grids are made of cast iron, a top performing material resistant to high temperatures, durable in time and perfectly transmit heat for outstanding functionality and aesthetics. This Whirlpool gas Hob features: iXelium stain-resistant surface for effortless cleaning.